Solved! 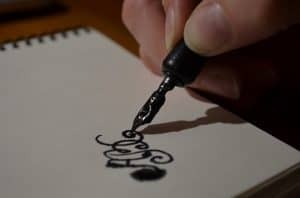 Who invented the fountain pen? Home > Informative > Solved! 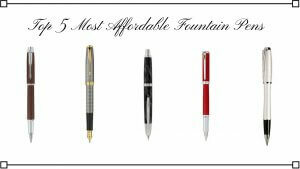 Who invented the fountain pen? Poking around on the internet recently, searching for some information about an obscure pen, I was not surprised to read some questionable statements, but was surprised at how many there were! I don’t confess to being the all-seeing oracle when it comes to fountain pens, but I have got some highly authoritative and weighty reference books to peruse, along with a fair few auction catalogues from a decade and more ago to help. I regularly cross reference with the net to help verify the information as best I can, but despite the widespread belief that everything is ‘on the net’ I can assure them that everything most certainly is not. I think that the most unexpected discovery was the remarkable diversity of ‘authoritative’ statements about who it was that invented the Fountain pen. Before I cast my opinion into the cyber-world we need a definitive description of what exactly a Fountain pen is. I feel that the following simple and basic description should suffice. “The earliest historical record of a reservoir pen dates back to the 10th century. In 953, Ma’ād al-Mu’izz, the caliph of Egypt, demanded a pen which would not stain his hands or clothes, and was provided with a pen which held ink in a reservoir and delivered it to the nib, and could be held upside-down without leaking, as recorded by Qadi al-Nu’man al-Tamimi (d. 974) in his Kitab al-Majalis wa ‘l-musayardt. No details of the construction or mechanism of operation of this pen are known and no examples have survived. From: Bosworth, C. E. (Autumn 1981). “A Mediaeval Islamic Prototype of the Fountain Pen”. Journal of Semitic Studies XXVl (i). Sadly no details of the pen or an example are known. Skip forward in time to the 17th Century, the time of the Restoration, the Plague, the Great Fire of London. Documented in coded detail, the great diarist, Samuel Pepys is introduced to a silver pen that would “write for a quire of paper” by a Mr Coventry, its is thought that it was possibly made in Paris, where a number of ‘instrument makers’ were making pens at that time, often credited to M. Nicholas Bion, who had no patents to his name – and was actually around some 50 years later! 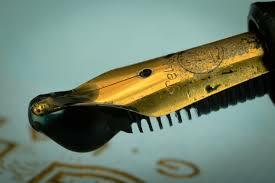 A problem for pen makers was the ink of the time was very corrosive and destroyed ordinary metals on contact. Nibs were cut from quills taken from swans and geese, but they were subject to wear and had to be replaced often. Gold offered a part solution – gold is highly resistant to acids, the drawback being the gold would wear quickly on the very abrasive paper surface. 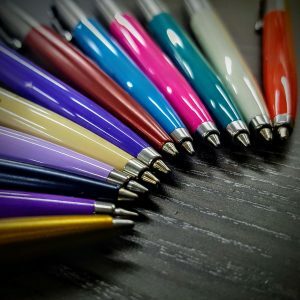 Before the advent of the fountain pen, and up to the latter half of the 19th Century, the part that we now call the nib was called the pen, and it was inserted into a penholder for use. The nibs were the tips of the tines, and particularly high-quality pens had small flakes of ruby welded to their nibs for smoothness and wear resistance. In 1883 an insurance salesman was filling in a contract with a customer, when his pen leaked, discharging a blot, ruining the contract. By the time he returned with a new contract the customer had signed a contract with a competitor. The salesman was Lewis Edson Waterman who went on to create a pen that didn’t leak or blot, gave controlled flow and reliable results. 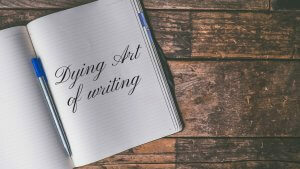 This was the first reliable fountain pen – more than can be said for the story of its creation! 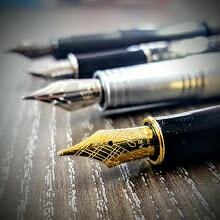 So, back to the original question – who did invent the fountain pen? In my opinion, from the time early man first picked up a piece of burnt wood and made a mark on the cave wall the curiosity and inventiveness of Man has worked and refined over the centuries. Caps off to them all! 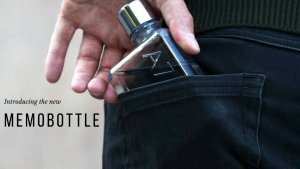 Previous post: Is it Better to Type and Touch or Write and Mark?